Successfully Added HK Warehouse UMIDIGI Z1 Android Phone - Android 7.0, Helio P20 CPU, 6GB RAM, FHD Display, 4000mAh, Dual-Cam (Gray) to your Shopping Cart. The UMIDIGI Z1 is China’s latest Flagship killer smartphone that has managed to fit top-end specs into a stylish and ultra-thin body. Claiming to be world’s thinnest big battery smartphone, this Android phone holds an epic 4000mAh battery in a body that’s just a couple of millimeters thin. This powerful cell brings along enough juice for you to enjoy all the phone’s features for up to 20 hours in a row. Thanks to this, you’ll be able to take the most out of the latest and most demanding software for multiple days without needing to recharge your device. No matter what you throw at this latest Android phone, you can be guaranteed it won’t leave you without power in the middle of the day. Besides its stunning battery, this Android phone holds some mesmerizing hardware. Its MediaTek processor has been clocked at 2.3GHz. Along with the phone’s 6GB of RAM, this chipset is able to bring forth an outstanding performance. No matter what you throw at this flagship smartphone, nothing will slow it down. Whether you’re into movies, games, or simply like to browse the web –the UMIDIGI Z1 handles it all. The phone supports 64GB internal storage and a whopping 256B external memory. This leaves you with plenty of space to store all your media. All files can be accessed easily with the touch of a finger thanks to the phone’s ultra-fast fingerprint scanner. On its Full-HD 5.5-Inch display, this latest Android smartphone provides you with breathtaking visuals. With 1080p media support, you’ll be able to enjoy films, games, and pictures like never before. Along with its Android 7.0 OS system, this beautiful smartphone lets you take on the latest software features the market has to offer in crisp FHD resolution. In terms of connectivity, this flagship smartphone supports Dual-IMEI numbers. You’ll be able to connect to two separate 4G network providers at once. This brings along great connectivity for those of you that often travel abroad. While traveling abroad, this phone furthermore lets you snap breathtaking images thanks to its Dual-Lens 13MP camera. With this professional-grade cam in place, you’ll be able to shoot crisp images and 4K video of all your upcoming adventures. 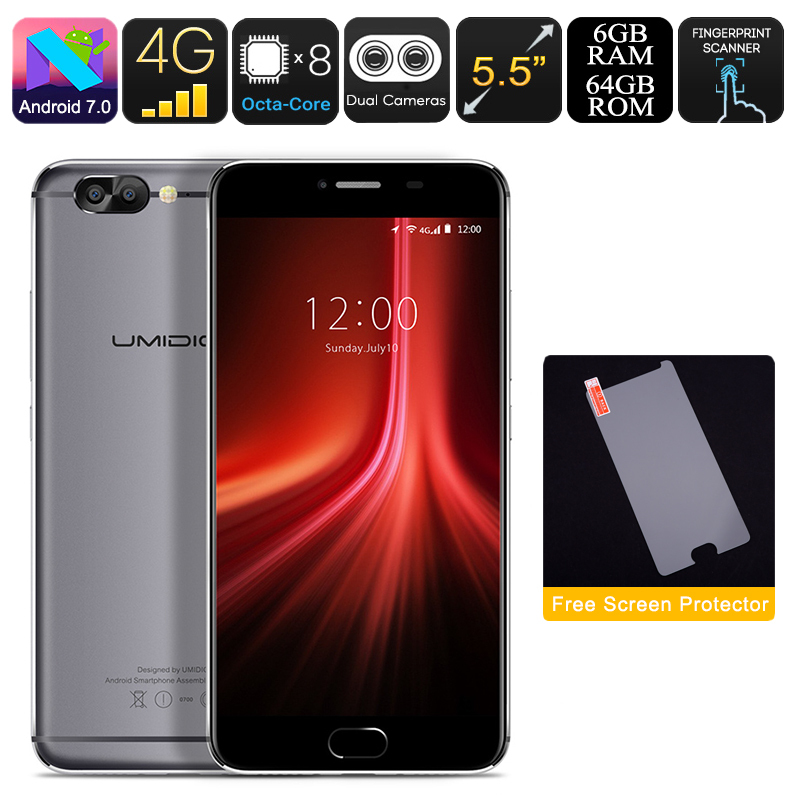 The UMIDIGI Z1 comes with a 12 months warranty, brought to you by the leader in electronic devices as well as wholesale electronic gadgets..